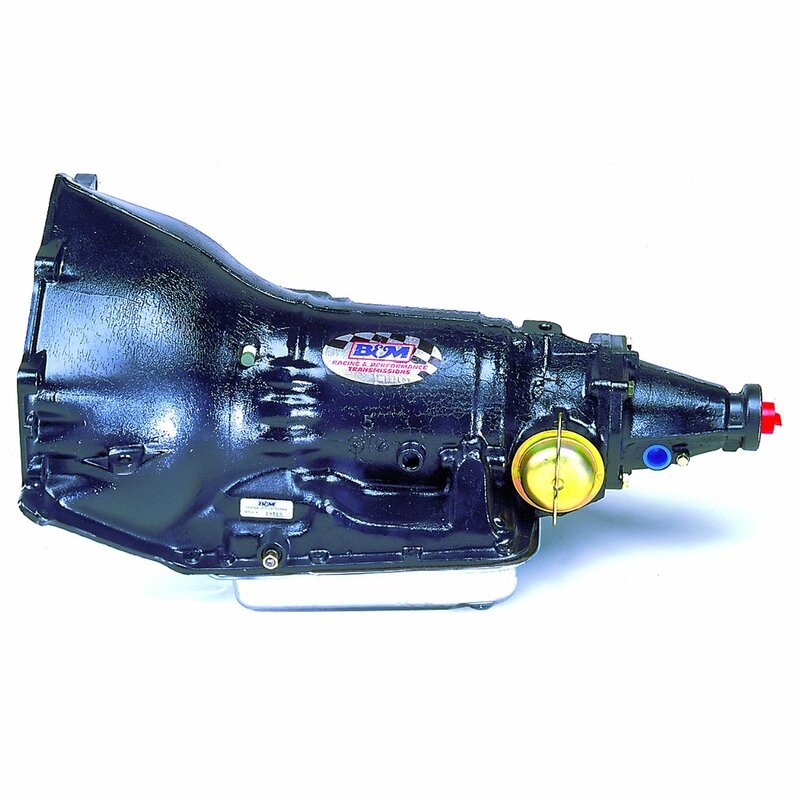 GM Turbo-Hydramatic 350 Street and Strip automatic transmission for 2 wheel drive models. Has 6 inch tailshaft and 7 inch separation on top bellhousing bolts. Transmission shipped without speedometer driven gear or housing. Street Strip automatic transmission(Chevrolet) 2WD GM TH-350. B&M's Street Strip transmission is a complete ready to run unit (less converter) for high performance street and mild strip use. The transmission provides firm shifts and features a standard shift pattern, these are the finest available for street and strip use. Includes 2:52 1st gear, 1:52 2nd gear, extra wide direct drum bushing, machined forward and direct pistons, new kickdown band with welded anchors, new intermediate and low roller clutches, all new B&M high performance friction plates, thrust bearings and races, new adjustable modulator, detent control link with new breather and filter, recalibrated valve body, hardened intermediate outer race and dual piston apply feature on 2-3 shift to increase torque capacity. Max 450 HP / 400 Ft/Lbs. Max 450 HP / 400 Ft/Lbs.